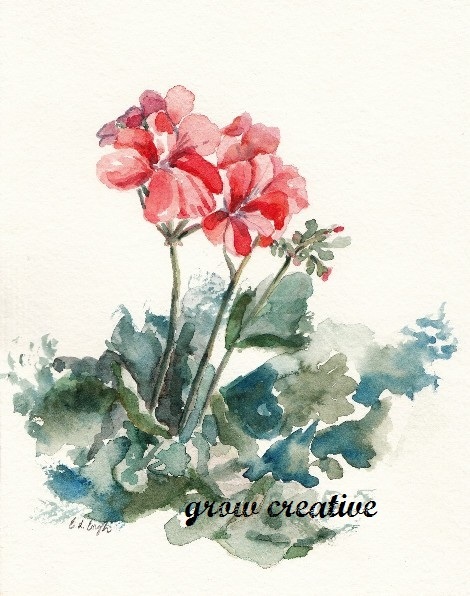 Here is another watercolor of my lovely geraniums. This painting is all I have left to remember them by since some kids got to my flowers last night- grrrrr. They picked every last one of them and threw them on the ground even though they were sitting right on my fenced-in patio! If I knew who it was I would report them for vandalism. I am so done with living in apartments. Seriously, no one respects your property or space, especially if you live on the bottom floor like I do.